In November 1969, an agreement was signed in Cairo between Yasser Arafat, leader of the Palestine Liberation Organization (PLO), and general Emile Boustany, commander of the Lebanese Armed Forces, under the auspices of the Egypt’s President Nasser. The so-called Cairo Agreement stipulated that armed Palestinian groups were authorized to reside in certain areas of South Lebanon and to be involved in armed resistance against Israel ‘in accordance with the principles of the sovereignty and security of Lebanon’. It was meant to put an end to clashes between the Lebanese army and Palestinian guerrilla groups. Almost two decades later, the Cairo Agreement was to be declared null and void in a resolution adopted by the Lebanese Parliament on 21 May 1987 and then published in the Official Gazette, but with no effect at all. The agreement is still implicitly in force as Lebanese armed forces do not enter the Palestinian camps. In September 1970, a year after the Cairo Agreement, a long and bloody confrontation between Palestinian armed groups and the Jordanian Army – known as Black September – led to the expulsion of these groups out of Jordan. 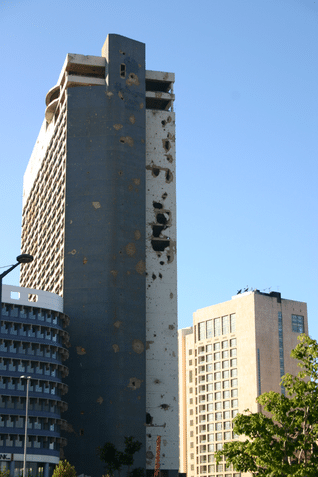 The PLO was forced to move its headquarters to Beirut. Many refugees and guerrilla fighters followed. These developments contributed to a worsening of the political situation in Lebanon. The new president, Suleiman Franjieh, elected in 1970, proved unable to maintain unity among the various communities, even less so as he was viewed as an ally of the Phalange (although Franjieh was intially an ally, the two later fought each other, and Franjieh’s son Tony and wife and children were assassinated in their home by a group of fighters of the Lebanese Forces under the command of Samir Geagea, Bashir Gemayel’s successor after his violent death in the summer of 1982). Meanwhile, Palestinian raids into northern Israel continued to lead to retaliations and vice versa. Lebanon had become a buffer country, and was hit on both sides. For the most part, Lebanese public opinion – in particular among the Maronites – considered the Palestinian presence a ‘state within a state’, and dangerous because of Israeli attacks. Others – in particular certain left wing groups – showed solidarity with the Palestinian struggle, some even fighting in their ranks. In 1973, the October War (also known as the Ramadan or Yom Kippur War) exacerbated these feelings.